In today’s mechanized world almost most of the work is done by machines. Mechanized way of work has reduced a lot of our stress and manual labor, which in turn has seen more outputs and had definitely increased the profit margin of entrepreneurs. For any big construction or commercial project cable pulling machines are required to lift the heavy workload. 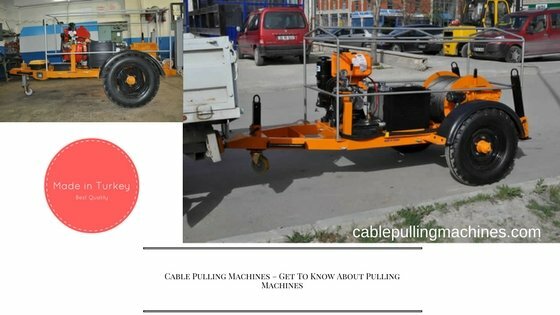 What are Cable Pulling Machines? It is important to know about the product thoroughly before using it. Cable pulling machines are most commonly found in construction sites but are also much need in engineering purposes and telecom industries. Cable pulling machines are made hardy so that they can withstand any harsh condition and give the best work output. They are mostly used to pull and put cable wires in position in a hassle free way. With two years guarantee, these machines are also cost effective and time saving. They are durable and give long-term outputs helping to install and lift heavy cable lines perfectly. Experience the best and the easiest way to install your cable lines both underground and overhead with our cable pulling machines. We guarantee a hundred percent consumer satisfaction. 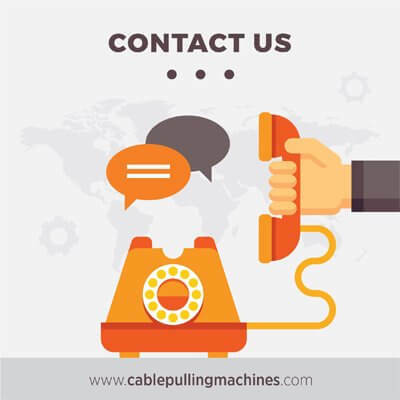 While choosing a cable-pulling machine we believe it is important and part of our responsibility to let our customers know about the wide variety of machines available along with the services offered. The machines are made to last long and the strength of each machine is available in details alongside the product. The machines are lightweight and built in a way to suit the worker’s needs as well. The person operating the machine can clearly see where to take the machine and how much force to apply for installing a certain cable line. These machines are very useful as it makes installing cable lines safer and takes into account all the workload. Experts on cable pulling machines will also continue to offer their services when needed to you. Choose from our wide range of services and machines.